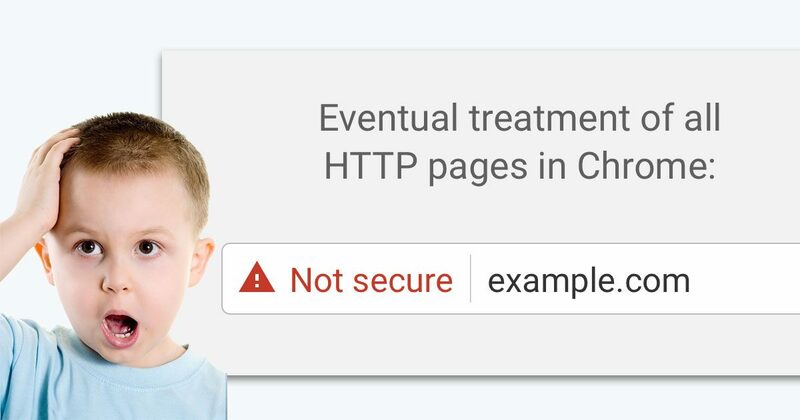 Google announced today that in another 2 months (Oct 2017), Google Chrome will show a “NOT SECURE” warning when users browse an HTTP page. If your website serve e-commerce purposes, we believe this will greatly reduce sales conversion on your website if you don’t switch to HTTPS by then. Refer below the print-screen of the notification we got from Google this morning. More about the announcement can also be found here. This move by Google is one step forward to protect internet users from fraud and hackers. How to Remove “NOT SECURE” from My Website? You would need to install the SSL certificate after you made the purchase. Steps required involved generating the keys and then install the cert on your server (get help from your programmer / IT guy). If you sign up to use Softinn Advanced Plan and are using our website services, your website is already HTTPS and SSL ready. Free-of-charge.